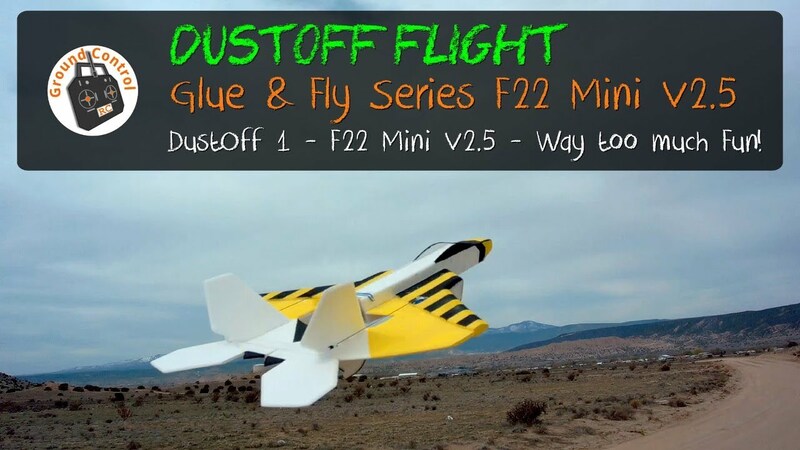 DustOff #1 - Glue & Fly Series F22 Micro V2.5 - Way too much Fun! Well, I'm exciting about Blowing the Dust Off of this Mini Parkjet! The Plans for this Parkjet will be uploaded to Patreon soon. I haven't flown this Parkjet since completing the Development of the V3. Let's blow some Dust Off! The start of the running gear. The stainless steel rod was smaller than the hole in the propeller. Flattened it out a bit, and threaded it. Added some silver solder to hold in place. Made a thrust bearing washer from a hard nylon type material servo arm. 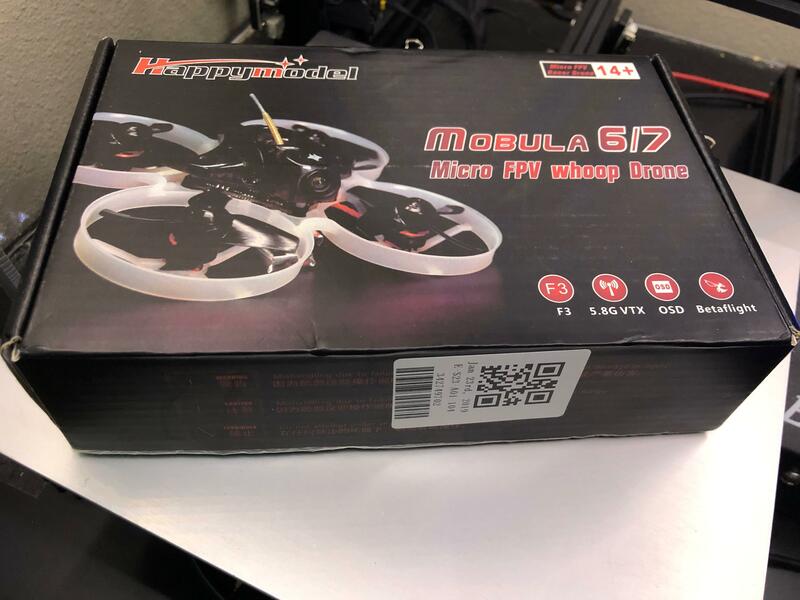 After almost exclusively flying 5in and 6in quads for the past few years and being disappointed by the power of early brushed whoops, I was finally convinced to try out a brushless whoop that I have been hearing a lot of good things about, the Happymodel Mobula 7. I’m not a fan of large walls of text, so I’m going to try to keep this concise. I’ll talk a bit about my thoughts and observations after 20 flights, then setup and modifications. The box has a sticker on it that says Jan 23rd, 2019, which I assume is the production date. Like always I wasn't happy with going the easy rout... I had to add CrossFire and a nice vTx antenna (I did not go for the Unify version for no reason ) and change to #ReversedPropDirection before going for maiden. About 9 months ago, we started TMac FPV YT channel to document our "Journey to Better" FPV Fun, Flights, and Racing Stuff and share our flight footage and stuff we learn with our family & friends. Within the past week, we have surpassed 100 subscribers! This, to me, is a humbling experience. I am very appreciative of the support from our "TMac FPV Teammates" and want to thank you in some way for that support. So, we've put together a Micro FPV Build "starter kit" as a Gratitude Giveaway. 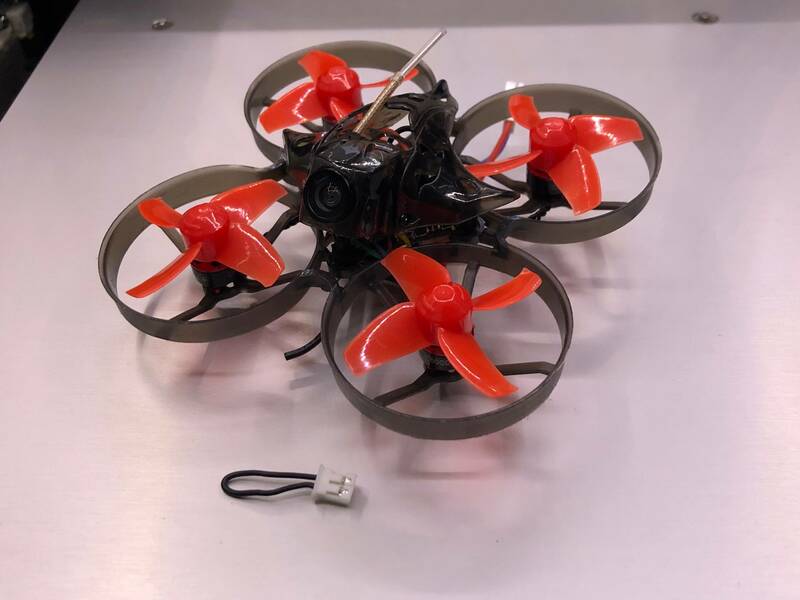 At least one of the components we're giving away can be used in ANY size Quad, so, if interested go ahead and check it out. It's Free! Once again, Thank You to All! Enjoy & Happy Flying! next to my mobula7 it looks very small! This is the tiny whoop I've been waiting for , a real 65mm with real punch on 1s and 2s with a fantastic camera and cheap..
Fitting the sub deck to the tug hull. Picked up a small motor and stainless steel rod, for the coupling and propeller I got in the mail from Harbor Models. This is my Blade Scimitar 110 FPV Quad BNF Basic Unboxing & Overview. - You can program the VTX settings with your radio or by pushing the button on the quad. - It had a price reduction recently, so the price is only slightly more than the Blade Torrent 110 at the time I made this video. - The antenna pops out and moves side to side way too easy. I may be modding that with rubber tubing or hot glue. There seemed to be just too many issues with the Blade Inductrix FPV BL, so I thought for the same price I would give this a shot. So far it seems pretty awesome overall. After a winter of hooting around the house every day in small ducted quads - yeah - 75mm ducted quads - AKA Whoops - I find I can enjoy FPV out in the yard more - as I'm not crashing every battery. This is HD from an FPV flight on my 135mm quad this spring, yesterday actually - no music. But hey - I'm diving a bit now - this modern world - what's next? Good parts start around 1:20 or 1:30. Looking for subscribers on YouTube! Hey RCGroups, I have a YouTube channel Mike Mattick @ YouTube.com, I'm looking for like minded Rc enthusiasts to view, like and subscribe to and have them also help me grow my channel by viewing, liking and subscribing. If you have a YouTube channel that you're trying to grow hit me up I always return the love! I am into almost every Rc application out there and I post new videos regularly! Lots of New stuff to come just starting out and would like you to join me!